Born in 1981 and raised in Central CA, Kevin had the privilege of being brought up in a Christian home and attending private Christian school until college. He can remember listening to Keith Green in the mornings on the way to school and having chapel every Wednesday. Early on, Kevin had vivid dreams of eternity that instilled a sobriety and fear of the Lord in his life, even though he did not have a close personal walk with Christ until later in high school. In the summer of 2000, Kevin’s family life crumbled when his father walked away from the family. The weight of grief hammered Kevin down and he dropped out of junior college in Modesto. “Everything I was living for came crashing down, and suddenly I didn’t want to know anything but Christ and His Word.” During this season, a medical crisis hit Kevin’s life and he was laid up for over a month. At this time, the Lord began to sow new, eternal desires into Kevin’s heart and he was given a hunger for God’s Word he had never had before. 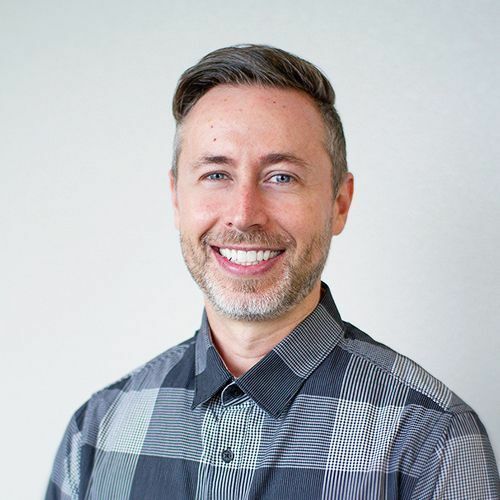 Through a series of God-orchestrated events, the Lord brought Kevin to Calvary Chapel Bible College in the Fall of 2002, where he spent three semesters studying the Bible and growing in his relationship with God. It was here where he began to learn about the Spirit filled life and what God’s amazing grace is truly all about. Kevin finished his last semester of Bible College in Siegen, Germany and began serving the Lord while interning within Calvary Chapel. In 2006, Kevin and his wife Rachel were married, and their marriage began in the crucible of affliction. Marriage hopes were almost dashed when Kevin was diagnosed with deep vein thrombosis the night before they were to be wed, and the wedding nearly took place in the hospital. The first year of marriage was marked by one physical trial after another, and the Lord was teaching Kevin and Rachel that their hopes and expectation needed to be in Christ and not circumstances. After serving the Lord together in ministry for nearly 10 years, the Lord revealed to Kevin and Rachel that He was about to move them in a different direction. Thinking they would be moving out of Southern, CA they made plans to leave, however those doors never opened. Finally after two years of having no direction, the Lord brought Kevin and Rachel to Calvary Chapel Oceanside. Feeling as though they were beginning again, they stepped into God’s plan for them and began to get involved in the life of the church. While Kevin was reluctant to serve in ministry again being content to shepherd his family, the Lord kept sending people to prod him and encourage him that God was not finished with him. So after nearly three years of serving in the men’s ministry and prayer ministry, the Lord moved the leadership within CCO to commission Kevin as a Pastor to serve the Church at CCO. The Lord has blessed Kevin and Rachel with two boys and one daughter. Kevin enjoys listening to classic sermons and compiling quotes from heroes of the faith. He longs to see genuine Christ-centered revival in the Body of Christ and a resurgence in the Holiness of God, the Fear of the Lord, the Grace of God and Prayer.